Join Daniel and Bayo Akomolafe for a co-led day of teaching and ancestor-focused ritual. We all have ancestors who continue to influence our lives in the present. And until very recent times nearly all of these lineage ancestors engaged in some form of ancestor reverence during their time on Earth. Yet relatively few modern Western peoples actively relate with their beloved dead and many even distance from their roots due to painful legacies. For millions of Native and African-ancestored peoples in the Americas this breakdown of relationships between the living and the dead is a legacy of European colonialism. For many of European settler ancestries, these troubles began even earlier with the rise of Roman and Christian Empire. Fortunately our ancestors dwell in the present and can become a source of nourishing and empowered relationship no matter how troubled your people’s specific historical journey. This co-led day with Bayo and Daniel will be a weave of embodied learning and inclusive ancestor-focused ritual. 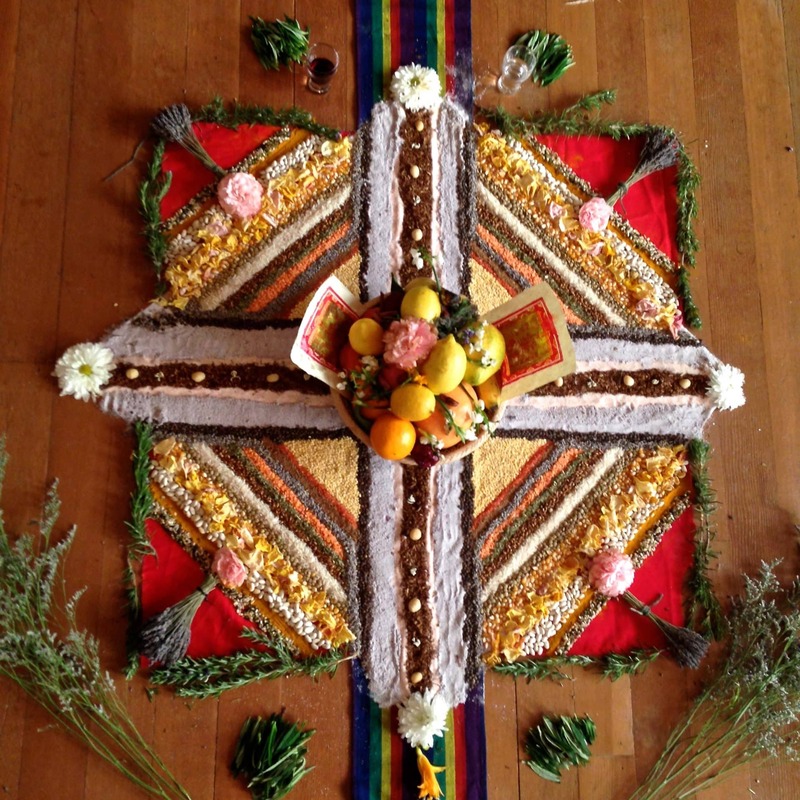 Participants can expect to learn one framework and some tangible skills for drawing on the support of their pre-colonialist, earth-honoring ancestors for personal, family, and cultural healing. No prior experience with mythopoetic decolonization work or ancestor-focused ritual required. Folks of all backgrounds warmly welcome. Cost is $120 for the day, spaces are limited, and registration is open (see right sidebar on this page). Bayo will also be guiding a talk the evening before in Greensboro, NC (more information here). Bayo Akomolafe, Ph.D., is a lecturer, speaker, author, and proud father whose work of responding to civilizational crisis is inspired by indigenous cosmologies and an ecofeminist ethos. His offerings are international in scope and fed by his roots in Yoruba-speaking Nigeria, his adoptive home of Chennai, India, and devotional love of his wife Ej and their two children. He is the author of These Wilds Beyond our Fences: Letters to my Daughter on Humanity’s Search for Home. For more information see: bayoakomolafe.net. Daniel Foor, Ph.D., is a licensed psychotherapist and a doctor of psychology. He has led ancestral and family healing intensives throughout the United States since 2005 and is the author of Ancestral Medicine: Rituals for Personal and Family Healing. He is an initiate in the Ifa/Orisha tradition of Yoruba-speaking West Africa and has trained with teachers of Mahayana Buddhism, Islamic Sufism, and different indigenous paths, including the older ways of his European ancestors. He lives with his wife and daughter in Asheville, NC. For more information see: ancestralmedicine.org.